India’s leading gravure cylinder manufacturer, Afflatus Gravure, has diversified to flexography recently. 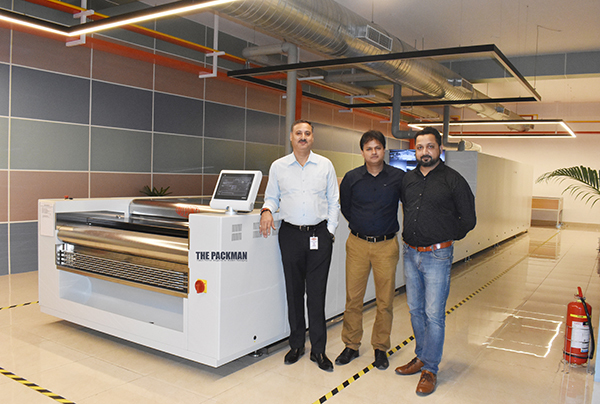 The company’s new state-of-the-art flexo division at its Noida plant is powered by a DuPont Cyrel 3000 Modular InLiner System which features plate processing through finishing in one linear design. 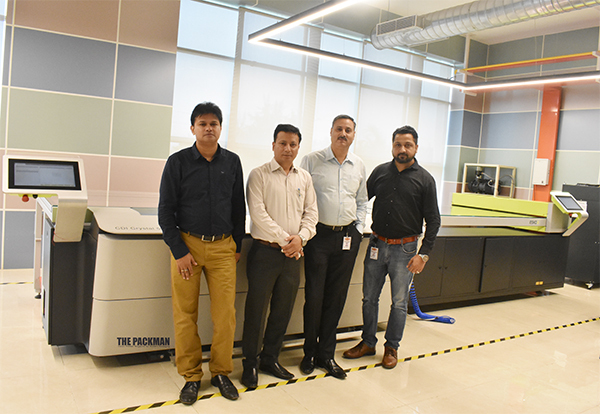 Capable of processing more than 120 high quality photopolymer plates per day, 24/7, the integrated system is the first of its kind installation in Asia. The company has also invested in UV LED imager CDI Crystal 5080 (integrated with XPS Crystal) and Kongsberg table from Esko that drive the flexo division along with the Cyrel 3000. The new imager CDI Crystal 5080 works with Crystal Technology, and is designed to connect seamlessly with the XPS Crystal digital UV exposure device. Combining high resolution fiber laser imaging from the CDI Crystal with the patented back and front UV LED exposure from the XPS Crystal is producing digital flexo plates with unique reproducibility and quality. The integration and automation of digital imaging and LED UV exposure improves consistency and overall ease of use. This solution not only frees up valuable operator time but also reduces maintenance and the footprint of your flexo equipment. “The exposure is a LED-curing system, which allows us to configure perfect flat-top dot without flushing nitrogen into it. At the same time, the system can be customized for all kind of plates,” said Pandey. Poly printing/mono layer of thin micron is getting popular in India in terms of sanitary napkin, cooking oil and liquid packaging, especially milk and others. Normal gravure cannot print on such thin poly easily, as it is sensitive in terms of stretchability. Thus, CI flexo printing presses were designed. “Fortunately or unfortunately, CI flexo printing presses are available with only flexo printing heads. That’s why flexo is getting popular,” explained Pandey. Next articleHURRY UP! Date extended for receiving entries for LMAI Label Awards 2018!